Writers Muse Coaching | Best writing coach to help you get more writing done, and enjoy it more too! Looking for the best writing coach to help you with any of these? Understand your own personal writing M.O. If any of these are true for you, then you’ll want to meet Milli Thornton. Milli is a creative writing coach who understands how it feels to struggle with writing. She made it her mission to first overcome her own writing blocks, and then to help other writers do the same. One writer described her as “the writers’ angel.” Milli is a writing coach who cares. She will care about your writing as if it were her own. Milli is the most inspirational and giving person I know. She loves helping others find their inner writer. I love you, Milli, and I appreciate all the opportunities you have ever given me. I wish I had done this sooner. There are so many distractions in life—including my own indecision about what I should be writing or working on next. Making a choice about how to proceed and committing to a coaching program takes the noise away. I’m already feeling more successful, relaxed and confident than I was a few weeks ago. 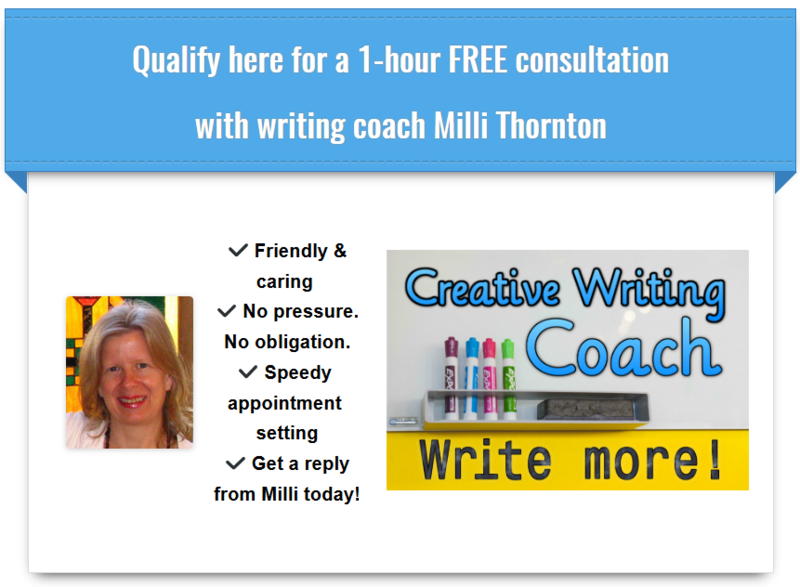 Coaching sessions with Milli Thornton of Writer’s Muse Coaching are geared to coax the natural writer from within. 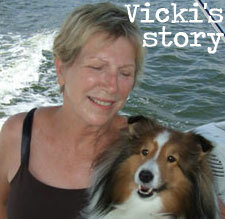 Her clients know her as the best writing coach to get more writing done. Her supportive attitude is also part of the recipe to end writer’s block and write more than you probably ever have in your lifetime. You can use the program to move you along on a specific project (screenplay, novel, non-fiction, etc.) or for simpler pursuits—such as rediscovering the joy of your own creative spark. The work you’ll do with Milli as your coach is very personal; there’s no cookie cutter formula. She will design assignments and make suggestions based on what you express to her during the coaching sessions. Working spontaneously this way allows the process to take you into those hidden or unexpected realms, where you’ll find new or deeper material for your writing. Milli will use a friendly but potent combination of baby steps, encouragement, accountability and writing productivity . . . to help you banish that vulture that waits to rob you of opportunity every time you put procrastination or distractions ahead of your creative expression. After we talked about the manuscript, I raced home and worked on revisions for three hours! It all flowed so easily, and I was practically jumping up and down with delight as I was able to almost effortlessly make the needed changes. I credit you and your inspiring energy for my burst of creativity.